When you have the Top 5 Most Underrated Washington Redskins of All-Time conversation, you truly are hitting an area where opinions vary as everybody has their favorites throughout the years. 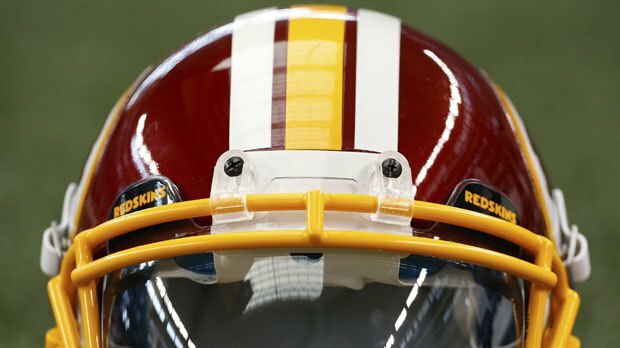 What we wanted to do was search out the five players we thought were the most forgotten or most underrated Washington Redskins of all-time. So after much debate and research, here are the top 5 most underrated Washington Redskins of All-Time. 5 – Larry Brown – Runningback (5-11, 195 lbs) – Drafted in the 8th round of the 1969 NFL Draft, Larry Brown was an after-thought on a team that featured Charley Taylor, Sonny Jurgensen, and Jerry Smith. That was until Vince Lombardi came to town. Lombardi noticed that Brown was behind on some plays and sent him in for hearing tests, the results revealed that Brown was indeed hearing impaired and the league allowed him to use a special earpiece to hear the snap calls better. Brown rushed for 888 yards in his rookie season. Brown’s success continued to build as he went to four consecutive Pro Bowls during his first four seasons and led the Redskins to their 1973 Super Bowl VII appearance against the “perfect season” Miami Dolphins. Brown was the National Football League’s Most Valuable Player in 1972. Brown carried the ball 1,530 times in his career gaining 5,875 yards with 35 touchdowns and caught 235 passes for 2485 yards and 20 touchdowns. His best seasons were in 1972 when he gained 1,216 yards and in 1970 when he gained 1,125 yards. He rushed for 100 yards or more 21 times and rushed for 100 yards or more in six games in 1970 and six games in 1972. 4 – Jerry Smith – Tight End (6-3, 208 lbs) – The Washington Redskins drafted Jerry Smith in the 9th round of the 1965 NFL Draft. All he did was put up one of the best careers for a tight end in the 12 seasons that followed. Smith played in the 1973 Super Bowl VII, and Sports Illustrated called him “an outstanding receiver among tight ends, with the ability to break open for a long gain.” In his career, Smith caught 421 passes for 5496 yards receiving, including 60 touchdowns, a record for tight ends at the time. He was named All-Pro twice and held several NFL records that stood for years. A very solid case can be made for Smith to be considered for the Hall of Fame, ultimately his life away from the field may have damaged his chances. 3 –Pat Fischer – Cornerback (5-9, 170 lbs) – Pat “The Mouse” Fischer joined the NFL as the 17th-round draft choice of the St. Louis Cardinals in the 1961 NFL Draft. Seven seasons and 29 interceptions later, Fischer signed with the Washington Redskins as a free agent in 1968 and was a 1969 Pro Bowler for the burgundy and gold. 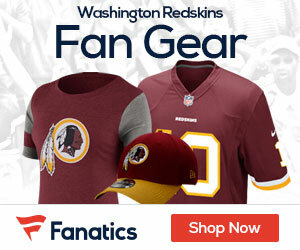 In 1972, the Redskins won the NFC championship game of the 1972-73 NFL playoffs against the Dallas Cowboys, when they limited Cowboys QB Roger Staubach to only nine completions in 20 attempts for 98 passing yards and three allowed sacks…Fischer and Mike Bass played huge roles that day. Fischer, who was named on the Redskins 70 Greatest of All-Time Team, finished his 17-year career with 56 interceptions and ranks seventh all-time in Redskins career interceptions with 27 and fourth all-time with 412 career interception return yards. At the time of his retirement, Fischer had played in 213 NFL games, then a record for a cornerback. He was well known for his strong tackling skills despite his diminutive size. Some of Fischer’s most memorable defensive match-ups occurred against Philadelphia Eagles receiver Harold Carmichael who stood eleven inches taller than Fischer. Fischer’s mantra “get a leg up and you own him” is used today to motivate and teach smaller defensive backs how to defend taller wide receivers. Fischer continues to appear on the veterans committee ballot for the Hall of Fame. 2 – Monte Coleman – Linebacker (6-2, 242 lbs) – Monte Coleman is one of the few NFL linebackers with three Super Bowl rings, he’s also one of the few Redskins players who were part of all three Super Bowl teams. Coleman accrued 999 total tackles to go along with 17 interceptions and 56.5 sacks, which ranks him fourth on the Redskins all-time sacks list. The Redskins chose Coleman in the 11th of the 12 rounds of the 1979 NFL Draft with the 289th overall selection. Coleman played for the Redskins in parts of the 70s, the 80s, and the 90s. On the all-time list of games played as a Redskin, Monte Coleman is currently second having played in 217 games, Darrell Green is first. He is one of only three men to play at least 16 seasons with the franchise, along with quarterback Sammy Baugh (16) and Green (20). Coleman was part of four Redskins Super Bowl teams: Super Bowl XVII, Super Bowl XVIII, Super Bowl XXII, and Super Bowl XXVI…all of which won the big game except for Super Bowl XVIII. 1 – Joe Jacoby – Offensive Tackle (6-7, 305 lbs) – Joe Jacoby was a dominant offensive lineman and an integral part of The Hogs success. He shined with his unit, earning three Super Bowl rings in an era of Redskins dominance. He also stood out as an individual playing in 170 games for the Redskins, while starting 19 playoff games and garnering four Pro Bowl invites. He compares favorably to some of the best offensive linemen of all-time and has been selected as a semi-finalist for the Pro Football Hall of Fame multiple times. Jacoby was the lead blocker on John Riggins’ famous touchdown run which ensured the Redskins Super Bowl XVII win over the Dolphins in 1983. In that game, the Redskins set a Super Bowl record for most rushing yards with 276. 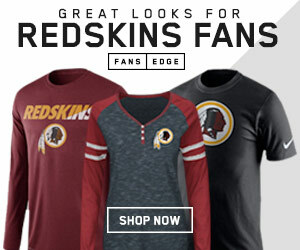 The Hogs helped the Redskins break that record five years later in Super Bowl XXII, in which Washington trampled over the Denver Broncos with 280 rushing yards en route to the second of the Redskins three championships. It’s a travesty that Jacoby has yet to be placed in his rightful spot alongside other Hall of Fame greats in Canton. We know that not everybody will agree on our list, so let’s see your top 5 most underrated Washington Redskins of All-Time.